Ding dong, the wicked sign is gone. You know the one I’m talking about. The Portugalia sign – that garish Ed Hardy-tattoo-esque design (that yes, included a cross) painted two stories tall over the now shuttered club on Newport Avenue – has finally been removed, thanks to Tim Spann and the folks at Cohn Restaurant Group. Spann, who is in charge of signage and some of the interior design for the new OB Warehouse, aided in taking down the old and now out-dated sign – which lorded over the upstanding exteriors of Newport Avene like an hulking gargoyle. 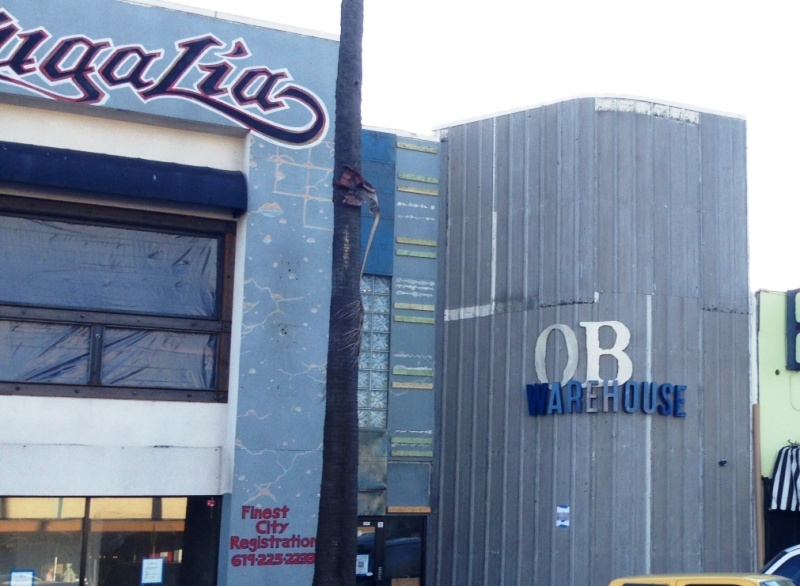 Its reign over the village is finally over, as the new “OB Warehouse” sign went up on Wednesday. From the looks of things inside, that might be an optimistic estimate. Still, the place is coming along. It is indeed a warehouse theme, with a metallic antique feel that should produce a gritty vibe to go with the street taco-themed menu. 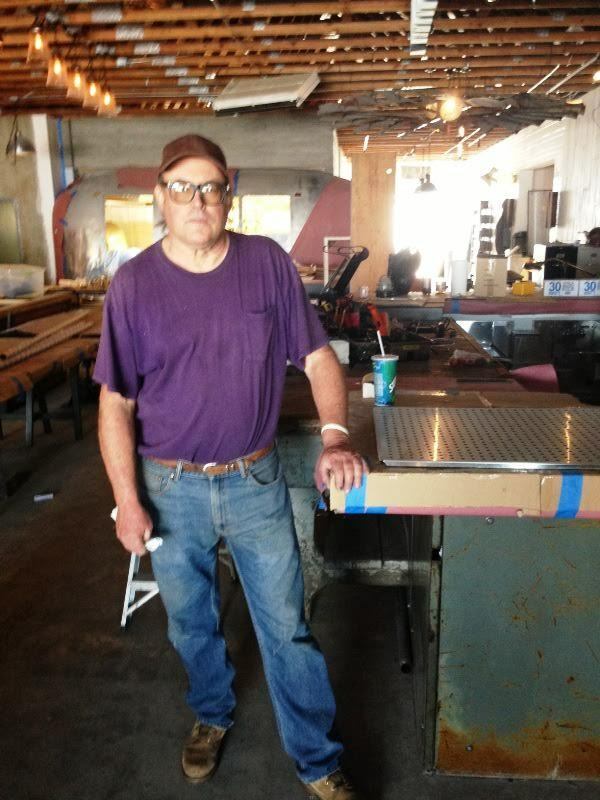 “It was originally going to be an automotive theme, but it’s now a warehouse style,” Spann said. 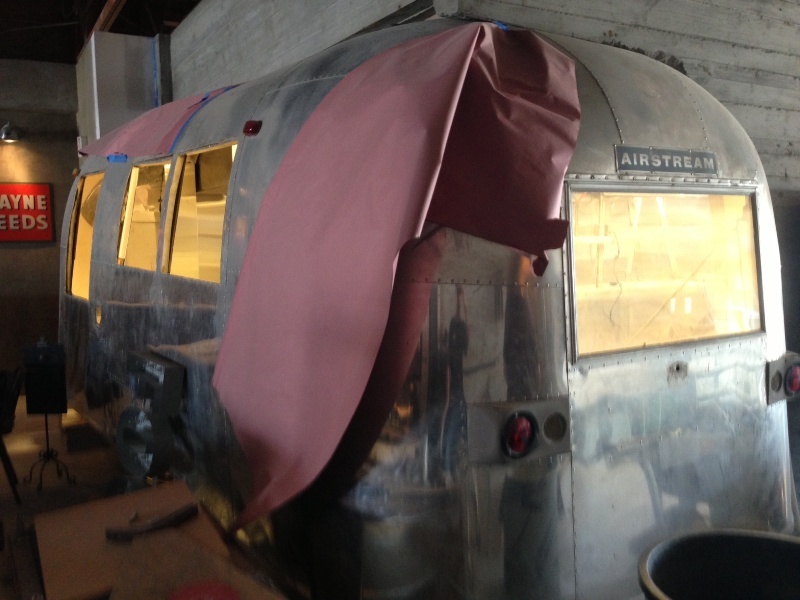 The kitchen will be separated by an Airstream trailer that designer Philippe Beltran transported from Kansas. 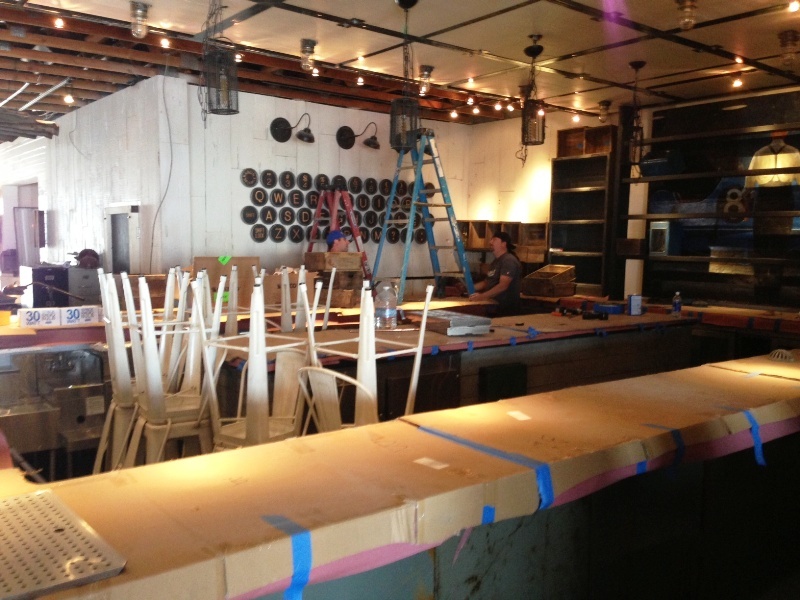 There will be outdoor seating in the back, or at least an open-air patio that will have seating. There will be an elevator to the second floor, where all dining will take place. The first floor will partially be used for storage and potentially rented out to a separate business. The bathrooms have a lot of oil cans. And the Cohn Group’s signature co-ed sink system (think BO-Beau, only more sink space). 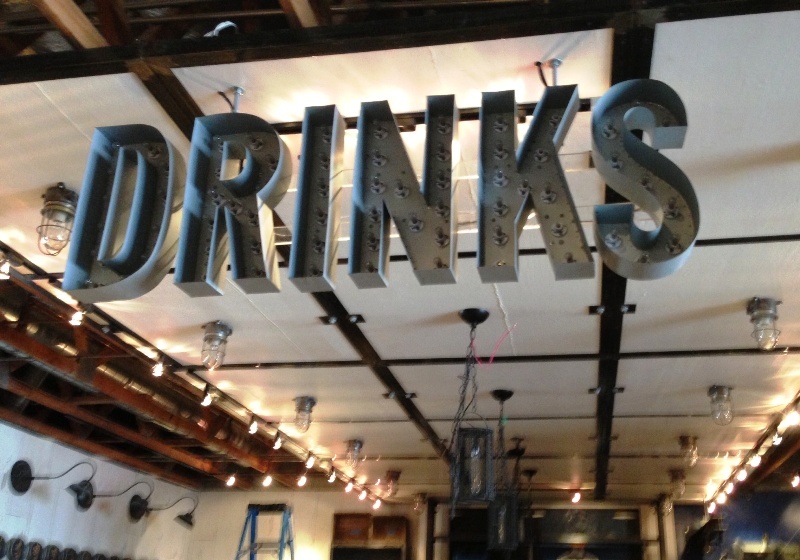 We’re still waiting to hear back from the Cohns’ PR people on an exact opening date. Until then, check out some pics of the interior. No, but sometimes I have a problem w/ cayenne pepper. Once upon a time my father-in-law made this Spanish soup w/ a cup of cayenne pepper served w/ each individual serving. He got the recipe from Toledo or Madrid or the Basque area. I swear it was what instigated my divorce. You see, my father-in-law was supposed to be this great cook because he had brought wonderful recipes home to San Diego from traveling the world. Well, that night I couldn’t eat the damn soup. “You could have eaten the damn soup,” my now-X-wife yelled at me. “No, I could not have eaten it because he didn’t serve any Pepto Bismol rocks w/ dinner,” came my retort. “He served bread. You could have tried a bit,” came the scream. “What about my upper sphincter valve! What about my upper sphincter valve! It doesn’t work like it used to, ya know.” And she did know, of course, because she was the wife. I remember sharing the information about that one flaw before the wedding; well, it could have been the actual wedding night, but I still shared it w/ her. Some spices just make that sphincter valve go into upper GI tract seizures, & cayenne pepper is one of them. Sometimes cheap beer, like Budweiser, will make it protest, but nothing like the cayenne pepper. The old man ate it though, and boy did he eat it. I think he ate the rest of the kettle! Then after dinner he tried to pretend it was delicious while he perspired all over his dessert. We argued in the car all the way home. For the next 15 years she brought up the damn soup, that damned cayenne soup, & then the divorce finalized. And I’ve been thinking: Maybe I should have refused to eat his food a bit earlier; I would have been a free man much sooner. Gawd, I hear street tacos and I just want to run screaming in the other direction! ENOUGH WITH TACOS ALREADY!! I’m SO sick of them. I know they’re going to have more than tacos……PLEASE?! Yeah I must say it’s rather unoriginal. Last thing we needed was more bar food. But… anything is better than a large building on Newport sitting empty, not to mention as was mentioned that tacky Portugalia sign was just gross. And the food will most likely be good, so that’s a win. Too bad it sat closed for so long – and too bad Portugalia didn’t make it – even if the building paint was a little tacky, the food and the owner were both top-notch. Street tacos, stainless steel, concrete does not excite me…the auto theme would have been much cooler IMO and funkier but I guess it’s better than what was there which appeared to be dingy inside and the grease tank in the rear was always overflowing. It will be interesting to see what this “seating in the back” is about since the back is an alley. OK, enough stainless steel on Newport now. One place is plenty. Basic grammar rule: I before O except after beach. Glad that Portugalia tried. It cost nothing but a few minutes to comment about “stainless steel”, ” I’m so sick of them”, “Running the other way” because they are tired of “tacos”. It took Portugalia work and money. Just like you, OB Mercy, you are doing your “You Tube” thing, in hopes and plans of succeeding. Let’s be positive. In fact, I do not know your credentials as a “Food Critic”, but take your camera, as you took it to the Caribbean sea and have a conversation with OB Warehouse Chef about their menu, which includes tacos, and post your comment about your gastronomic experience in your site. Heck ! this mention may catapult your unique visitors to a few hundreds, or even thousands. Now is the Kohn Group turn. We wish you well. Many are happy that you are investing in OB……..now if we could only get rid of the wanna be homeless bothering all locals and visitors…..that will be ideal, specially since they hang around at the end of Newport, corner of Starbucks and in parking lot near OB Warehouse. That along may assure the success of not just OB Warehouse, but also all newcomers. Doncharly , I think It’s great we have another place to eat in O.B. ! I totally agree with your statement below. This is a subject I have discussed with SDPD and continue to discuss. Police refuse to enforce the the law ! This morning the fire pits and the beach had at least 15 people sleeping at our free lodging site. These ” travelers ” eat free at the local churches or from the people that bring huge portions of food and leave it on the wall ? that food is scattered all over the boardwalk and most is eaten by the rats and birds , park & rec has to cleanup after them. Why isn’t this illegal dumping ? The ” travelers ” then sleep in our bushes and at our free lodging site at the fire pits near dog beach . Signs in the parking lot indicate the fire pits close at 9:oo pm, walk by at 6:00 am and look at the free lodging area yourself. Business organizations like the OBMA want O.B. to stay ” free” until police stop receiving a monthly gift, in the form of a trailer, police will not listen to residents. The OBMA encourages these travelers to visit Ocean Beach and a few locals in the organization help bring this type of trash to Ocean Beach. The Lt in charge of this area spends more time at the OBMA office than actually solving this problem for the community. The former western division captain that was promoted to asst chief was and is part of the problem, he spent too many years in the pockets of the OBMA to listen to O.B. residents. Few changes have come because he is no longer at western, he was and is a huge part of the reason officers are not enforcing laws in O.B. Take away the free sleeping areas, fine those that bring trash to the wall for littering, enforce current smoking and drinking laws on the wall. It only takes one police car to drive by the pits, you don’t even have to get out the car to see them sleeping around the pits. Again park & rec is left with a huge mess, they do a great job cleaning up after these people that act like animals, they urinate and defecate just steps from the pits they sleep around. It boils down to choice, and SDPD chooses not to enforce the law. How long would these ” travelers ” last in the streets La Jolla or Point Loma ? How many nights could they sleep at the park at the cove ? Demand better service from SDPD ! WRITE DOWN INCIDENT NUMBERS WHEN YOU CALL POLICE, IT’S PROOF YOU CALLED ! I can see your point. But I suggest you refrain from calling these people “this type of trash”. It only shows your small mindedness. I think these people try to avoid La Jolla or Pt. Loma because those places are filled with intolerance… and people who think that a homeless problem (among other issues – lack of support systems, drugs, emotional, psychological, simple maturity, etc.) should be solved by the police or simply swept away to some magical place. Sure, these people create eyesores, add to the grittyness of OB, and may even seem intimidating when in groups as you pass by. I get it. Nobody wants to live in a place that makes them feel unsafe or unsanitary. Still, these are people. Some are people who are down in life (or even given up) and need a hand. I rejoice in knowing that Ocean Beach is a place where the downtrodden come and can receive a meal, be accepted, and congregate without being hassled or arrested. Finding the balance of what is acceptable between the residents of OB and the “travelers” is what we should strive for. Sure, be vigilant about the issues that bother you. Write your complaints down, gather support, and spread the word to all parties, including the “travelers”. Which makes me wonder… is there a posted “Notice to Travelers in OB” that states what residents feel strongly about? 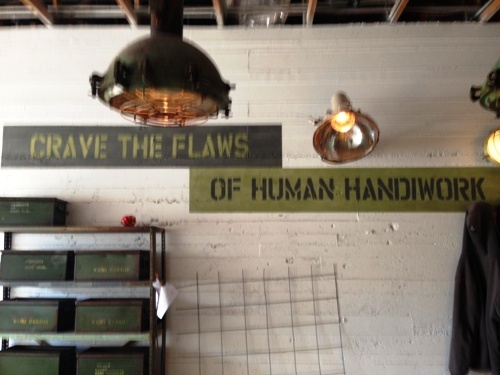 For example, cleanliness, safety, etc. Maybe one should be created and posted to help find the balance. The real homeless, the ones that could not do well for themselves, the city, county and federal, and willing residents, should be doing everything possible to give them an option, a chance to change their lives. Yet, they are there, and yes, I wish it could be different. Now, the wannabe homeless, those bother me, literally and physically. Eventually, if we care about change, something, and many someones, may just get together and create another OB organization that will look at our own unique OB situation, benefiting everyone involved. In other words we have to meet somewhere in the middle of OBRacer & John. All organizations you have mentioned, all of them, are the problem. They have a following and people will come to try it just because it is a Cohn restaurant.I think they are counting on people from outside OB dining at this spot more than locals,as is the case with their other restaurant in town. That building isnt going to be vacant ever again.It will be interesting to see what happens with the shops around the restaurant if it draws alot of people.I bet Azucar gets a boost.I love that place. For those that we have been living here for a long while “Rite Aid” was it ! ! Now it is not ! If you ever have shopped at CVS, you will never think of them again! The ideal outcome will be to have all the employees from Rite Aid at CVS. You’re right DonCharly, I may have been a bit harsh in my comment. I always want to see a new business succeed in OB. Too many have been closing as of late. As far as my credentials as a food critic, as of right now, it’s mostly Yelp, where I have over 250 reviews and just earned my 5 yr gold badge for being on their Elite Team. What this means is that I give thoughtful constructive reviews, I never try to just give a business a beating (which I guess I did on here! My bad.). I write news stories for the SD Reader, and would love to review food for them, but they have enough reviewers and it doesn’t pay nearly as well as writing the news. That will be “Raglan”. I am an eater, and allow me to suggest “trendy or not trendy”, Raglan’s Average Joe Hamburger with the thin fries and the Mexican Coca Cola in a glass bottle. I could suggest you a few more dishes in OB, but better yet, go an explore. Maybe OBMercy could helps us with one of her experiences in OB. Too bad OB Noodle House didn’t want to move where Portugalia was, that would have been great. I have not ever been that impressed with the Cohns food, it’s too too. Too pricey, too spicey, too foo foo, too soo soo, & mostly too trendy w/ poor service. The servers are not professional & don’t know their menus or the food. So we will see. Bone Appetite!!!!! Tums here I come. Yum. & Pray for good food. Susie….have you ever eaten at Bo Beau on West Point Loma here in OB?? I can’t believe you would say all that about Cohn restaus if you have eaten at BB. Not inexpensive but not over the top. Spicy?? Not there. Foo foo?? Hmmmm….it’s like a rustic French bistro. Nothing foo foo about it. And service is stellar there. I’ve also experienced this at 100 Wines, another Cohn group. But those are the only two Cohn restaus I’ve eaten at. So maybe you’re talking about others? A sign on The OB Warehouse door says August 7.